Medieval Times Dinner and Tournament is an educational and entertaining family hot spot. As you walk through the doors of the Medieval Times Castle, you feel as though you have stepped into the past; a past filled with rich history showcasing Kings, Princesses, Knights and Lords. The castle is filled with beautiful paintings, kingdom artifacts, coat of arms art work, battle gear and armor from the 11th Century Middle Ages. Educational topics that can be found in this fun and entertaining arena include knighthood & heraldry, feudalism, medieval feasts, history, falconry, weaponry & combat and horsemanship. The experience will make your heart jump from the live performance. Disclaimer: Sponsored post. We were provide (4) free meals and show in exchange for this post. All thoughts and opinions are our own. Some of the inspiration we saw first-hand included knighthood and heraldry. This is first introduced as you are welcomed into the castle as the ladies assign you a crown that reflects the knight that you will be cheering for during the entertainment. Another inspiration that is introduced relating to the Middle Ages is the fight for land and safety of the kingdom. Feudalism becomes evident as the knights fight for their kingdom. Feudalism was a combination of legal and military customs in medieval Europe that flourished between the 9th and 15th centuries. The nobility held lands from the Crown in exchange for military service and vassals were in turn tenants of the nobles. Peasants (villains or serfs) were obliged to live on their lord's land and give him homage, labor, and a share of the produce in exchange for military protection. The tournament depicts the lives of the Middle Ages and does an excellent job protraying feudalism of the time. During the knighthood tournament, a Medieval feast is served which includes garlic bread, tomato bisque soup, roasted chicken, sweet buttered corn, herb-basted potatoes, a pastry of the castle for dessert, coffee and two rounds of select beverages. In addition, Medieval Times offers a full-service bar for adult guests so you can order your ale for your special event. Vegetarian meals are also available upon request. Just as in the middle ages, there are no spoons or forks, everyone enjoys this wonderful feast with their bare hands. The tournament is two hour story of jousting, swordsmanship, hand-to-hand combat, extraordinary horsemanship and falconry set in Medieval Spain. The swordsmanship comes to life in the arena during combat. Two knights duel in the middle of the arena to win the tournament. During the tournament, horses and knights are paired for an amazing display of horsemanship as the animal’s gallop and race at a their riders command. The rich history can be seen in the clothing, swordsmanship, food and language. It is a live representation of what a knight's tournament might have represented during the European middle ages. It is as though history is coming to life in our modern world. For an amazing field trip through history, dinner and show, book your reservations with Medieval Times Dinner and Tournament today. Medieval Times is located at 7662 Beach Blvd Buena Park, CA and select markets across the Nation including Dallas, Atlanta, Baltimore, Chicago, Orlando and more. Giveaway: Enter for a chance to win Movie Tickets. Spring Break is here. 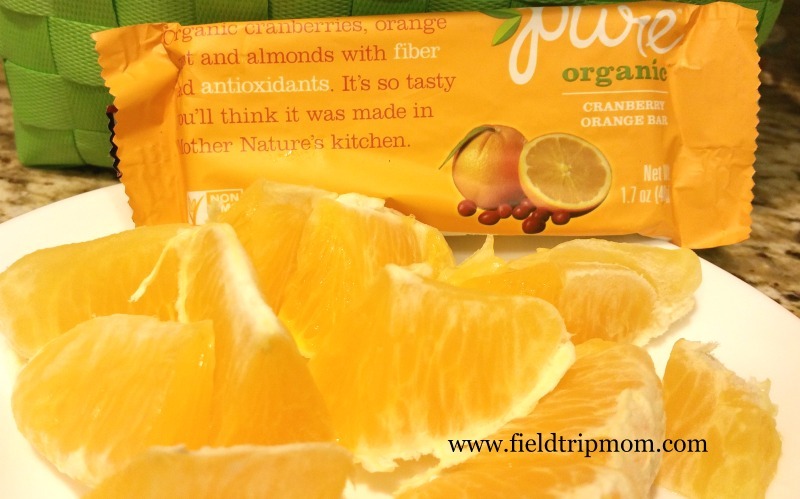 We at Field Trip Mom Blog want to help you enjoy your vacation. We are offering you a chance to win movie tickets. All you have to do is enter with your favorite social media outlet. Good luck to you. Have a great Spring Break!!! Recently, we were invited to O-live Tree Mediterranean Cuisine for dinner. 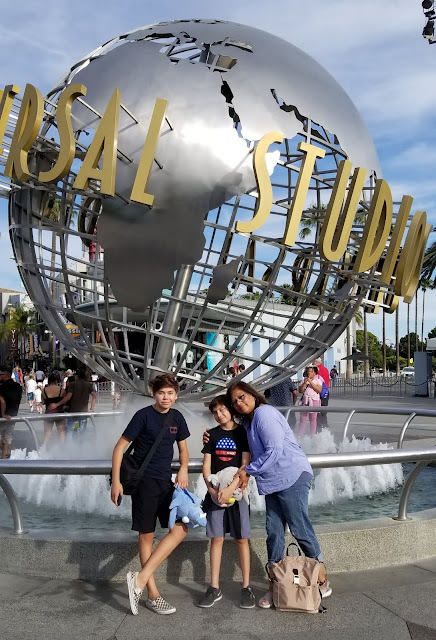 Located within the business towers of Irvine and conveniently off the 405 FWY and MacArthur Blvd, our family ventured out for an amazing evening of food and fun. DISCLAIMER: Sponsored post, we were provided a meal for four in exchange for this review. All opinions are all our own and we were not compensated. The O-live Tree Mediterranean Cuisine is an great place to grab a great fresh lunch to fuel you through a busy day or entertain a client for that important business meeting. However, the restaurant is now open for dinner Thursday, Friday and Saturday evenings from 5 PM to 9:30 PM. During our visit, we wanted to experience as many of the offerings as possible to get a full flavor palate for our readers to wet your appetite. Our kids are fairly picky when it comes to new experiences however with some guidance based on past experiences, we easily guided them to the correct choices. Our little guy choose the Chicken Kabob Plate with rice and Greek salad. Our oldest selected the Beef Kabob Plate also with rice and Greek salad. Alma selected a Homemade Red Lentil Soup and the Greek salad and I chose the Adana Kabob Plate with rice and Greek salad. Adana is a ground beef and lamb kabob mixed with Mediterranean spices. I had never tried lamb and wanted to reach outside my comfort zone although that isn't hard to do for me. When it comes to food, my motto is, "Put it in front of me and watch your fingers!" We all sampled a bit of one another's plates and enjoyed a casual dining experience with excellent service and soft music playing in the background. The restaurant also has a beautiful outside patio with gas lanterns and a gorgeous view of the Southern California skies. The food is delicious, offering large portions at very reasonable prices. Other plates we saw during our visit included a Grilled Salmon plate, Falafel plate as well as some incredible appetizers like the Roasted Eggplant and Hummus. They offer options for every diet including vegetarian, gluten free and diary free. Authentic food in the heart of Irvine, well worth travelling for a night out with your spouse, friends or a great date spot featuring many local entertainment options nearby. The O-live Tree is also available for catering and can host private parties upon reservation. The O-live Tree can be found at 2010 Main Street Irvine, CA 92614. For reservations call 949-250-1838. On Saturday, March 19th, The O-live Tree is hosting an evening of dinner and belly dancing, an amazing event to put on your calendar. You must call now for reservations, seating is limited and filling up quickly. Click on the link for a belly dancing dinner brochure explaining the event! We recommend this restaurant, your family will love it. Mediterranean Cuisine, homemade red lentil soup, adana kabob, falafel pita, gyro plate, dolma, tzatziki, lentil rice, tabbouleh, hummus, soups, salads and baklava. Places to eat near John Wayne Airport. Update: The giveaway has ended. We are happy to share an exclusive discount code to help you save 30% on Disney on Ice tickets. Here are the details. You will receive 30% off tickets for all shows (except opening night) for a limited time only. Valid on $20-$29 price levels only (not valid on Front Row or VIP. No double discounts. Limit of 8 tickets.). Do not be late to a very important date with Alice and the Mad Hatter as they march with the Queen of Hearts’ Army of Cards. Tick-Tock! Tick-Tock! Set a playdate with Woody and Buzz Lightyear because the toys are back in town. Create memories your family will treasure for a lifetime. PRICING: Tickets start at $22! Click on the link to enter for a chance to win tickets to Disney on Ice. Food is very important to our family. Travel sometimes can put challenges in eating healthy or just getting enough fiber. Our family tradition is to carry a healthy fruit bar where ever we go. It is important that we read labels and find a variety of energy bars that offer flavor and nutrition. 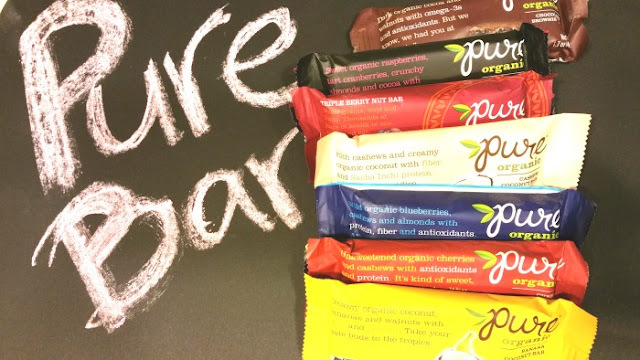 We are currently enjoying "The Pure Bar”, an organic, GMO free and Gluten free fruit bar that contains antioxidants, proteins, fiber and lots of flavor. The Pure Bar is designed to help children and adults eat healthy. This bar is favored by Vegetarian folks who look for key ingredients that will nourish the body. You don’t have to be a vegetarian to eat these delicious bars. You just need to be hungry and excited about giving your body the necessary nutrients. They offer a variety of flavors for you to choose from and experience. Right now we are favoring the Banana Coconut bar and the Chocolate Brownie bar. When you travel take “The Pure Bar” with you and avoid going hungry or eating greasy foods. You can’t go wrong with a few of these bars with you while on the road. They are made with fresh ingredients that have no chemicals or dyes. They are Kosher certified and contain no dairy as well. Which means you can share them with friends or family as you travel.